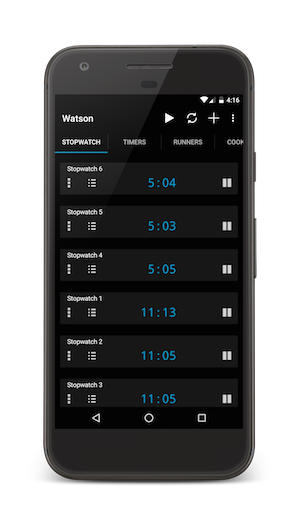 Watson is a multiple stopwatch and timer application using an intuitive page view layout. Each page can represent a different category, e.g. cooking, exercise, work, games. - Named after Samual Watson, the inventor of the first stopwatch. There is no limit to number of pages you can have, and you can place multiple stopwatches or timers per page. 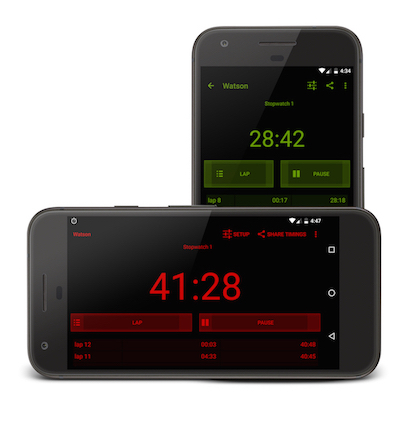 You can start, stop each stopwatch or timer individually, or all at the same time. 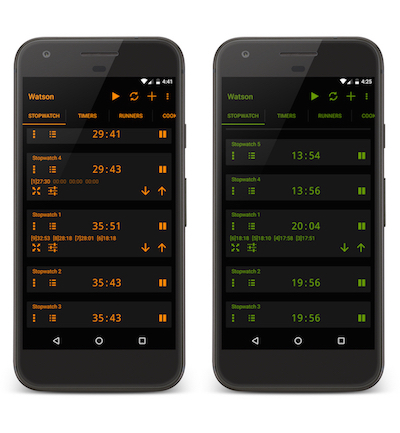 Each stopwatch or timer can be easily identified as you can set a unique title for each one. Even the pages can renamed. 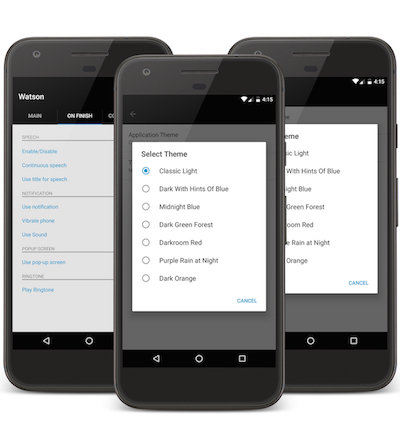 Configure to a variety of themes, Dark Orange, Midnight Blue, to suit your mood. Stopwatch continues on in the background without using up any resources, so your battery is safe. You can even shutdown you phone, as Watson will still show the correct time when restarted. do NOT consume a lot of CPU resource! **********Stars to Infiniti********* It's the best!! I consider this to be my "Everything I Ever Needed Watson Timer". 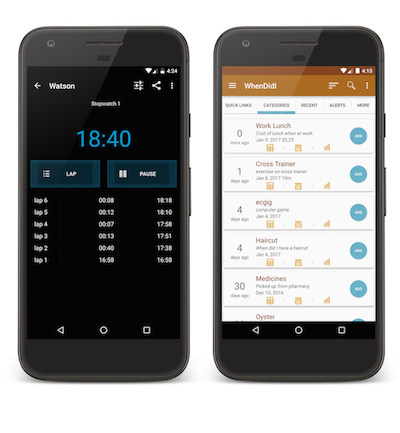 Track your medicines, and more!! Great running timer I love this app. I use it for counting work hours. I could restart my phone and the counter is still running just fine. Days later even, if I forget to turn it off.